I love Spotify. I listen to hundreds of hours of music with it every year. While there are great tools like the Daily Mixes that make it easy to find music to listen to, sometimes you just want a playlist of your own design. With almost every song you could ever want at your fingertips, however, putting together an awesome playlist can be tricky. How do you remember all the songs you want to add? 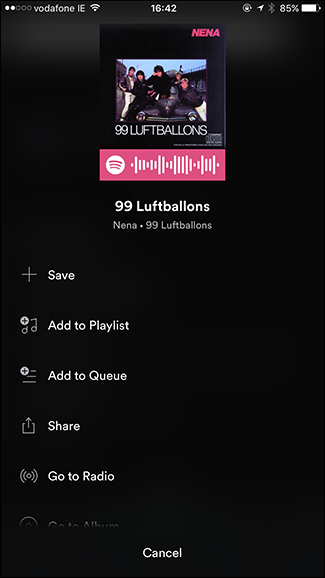 Here’s some useful Spotify features that can help. When you’re making a new playlist, there’s a pretty good chance you want to add some of your favorite songs. You can try and remember them off the top of your head, but there’s a better way to do it: at the end of every year, Spotify creates a playlist of your Top 100 most played songs. Use that as a starting point for your playlists. If you’ve been using Spotify for a couple of years, you’ll have a few of these playlists to dig through. The best thing to do is group your top songs into a few different playlists by genre. 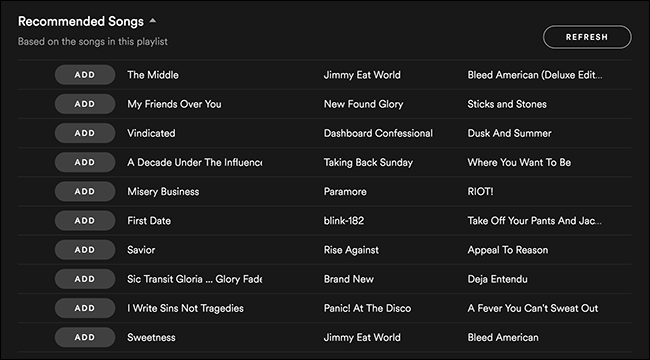 For example, I made Pop Punk Faves, Mellow Faves, Rap Faves, and Cheesy Pump Up Faves playlists. 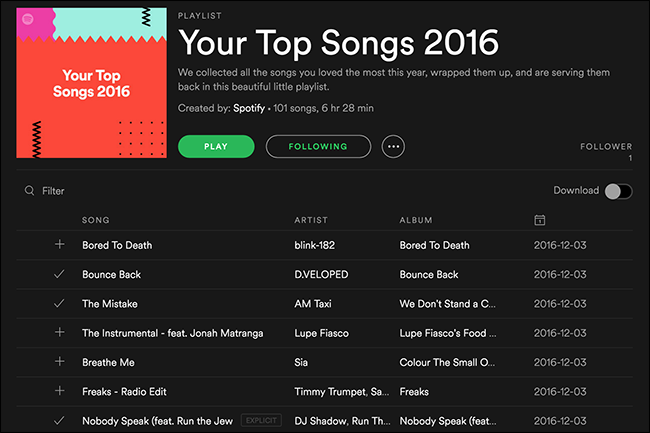 The end of year playlists aren’t the only ones you can use. Look through any playlists you’ve created yourself, or tracks you’ve saved or Shazam-ed. If you see something that fits one of your playlists, add it. You can always remove it later. You aren’t the only one making playlists. Spotify has a dedicated team creating them for all different kinds of genres. 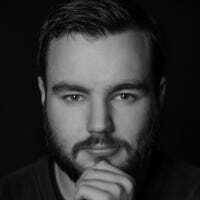 You can also find playlists created by other regular people on Playlists.net. Find another playlist that someone else has made that is similar to the one you want to make yourself and look through it for inspiration. Everyone’s music taste is a little bit different so they’ll likely miss songs you’d include and include ones you’d skip, but it should get your creative juices flowing. Once your playlist starts to take shape, Spotify will be prepared to help you. 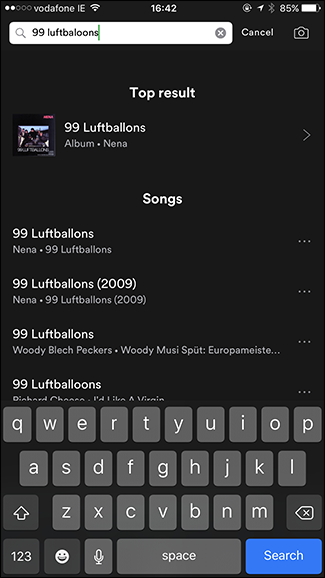 At the bottom of every playlist in the desktop app, Spotify lists Recommended Songs. These recommendations are pulled from Spotify’s ridiculously deep music data. What songs are grouped together on playlists, how other people listen to music, which artists are frequently played one after the other, and much much more are all used by Spotify to get a picture of which songs are related or similar to each other. Look through these recommendations and click Add on any you want in your playlist. If none take your fancy, click Refresh to get a new batch of suggestions. It’s a really great tool for finding songs you’d otherwise have missed. 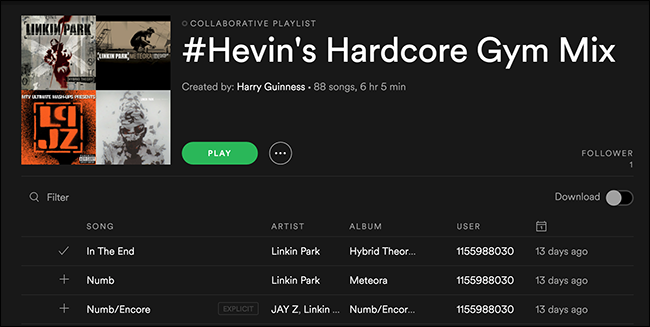 One of my favorite Spotify features is collaborative playlists. You and one or more friends can all work together on a single playlist. They’re likely to remember songs you’ve forgotten about. My gym buddy and I have a collaborative playlist with hundreds of songs we love to work out to. Not only is it a killer playlist, but it was great fun to put together. Once you start putting time into making your own playlists, you’ll get inspiration everywhere. You’ll hear a song on the radio, see something in the supermarket that reminds you of a particular band, or someone will mention an old album they used to love. Whatever triggers it, you want to add that song to your playlist as soon as possible; otherwise you’ll forget it. The best way to quickly add a song is through the mobile app. Just search for the song you want to add, tap the three dots next to, tap Add to Playlist and then just select the one you want to add it to. It’s not hard to build great playlists, it just takes a bit of time and thought. If you quickly throw 15 or 20 songs together, you’ll just get sick of them quickly. 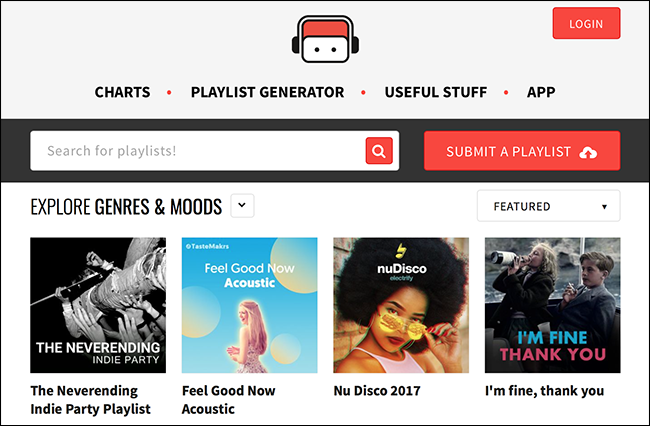 Instead, you need to go all in and use the tips in this article to build monster playlists with well over 100 songs. That way, when you put them on shuffle you’ll always here a different mix of music.